The Eurovision Song Contest is routinely mocked for its overtly politicized voting, but this year the kitsch competition could witness genuine geopolitical intrigue if Ukrainians choose to send Crimean Tatar songstress Jamala to represent the country. Jamala’s song ‘1944’ is a powerful ballad honouring the victims of the WWII-era mass deportation of Crimean Tatars from their homeland at the hands of the Soviet authorities. 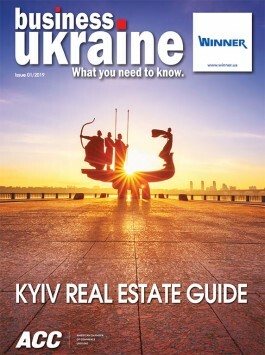 The tune has already generated enormous public interest in Ukraine, coasting through the quarterfinal and semifinal of the popular annual competition to select Ukraine’s Eurovision entry. It is now the hot favorite to win the national final on 21 February. If selected for Eurovision, Jamala’s haunting song promises to spice up the contest considerably, embarrassing the Kremlin by undermining Moscow claims that Crimea was ‘always Russian’ while highlighting indigenous opposition to the 2014 annexation. Jamala would certainly be an appropriate representative of the new Ukraine. The singer has become something of a national icon to Ukrainians since the Russian invasion of Crimea. She is the daughter of a Crimean Tatar father and Armenian mother who married in Soviet Asia during the Crimean Tatar exile. Jamala’s family was among the estimated 250,000 Crimean Tatars exiled in 1944 on trumped up charges of collaboration with Nazi Germany. Tens of thousands died during the arduous journey and in the subsequent early years of exile. The Crimean Tatars eventually returned to their ancestral homeland following the Soviet collapse, when it became part of independent Ukraine. 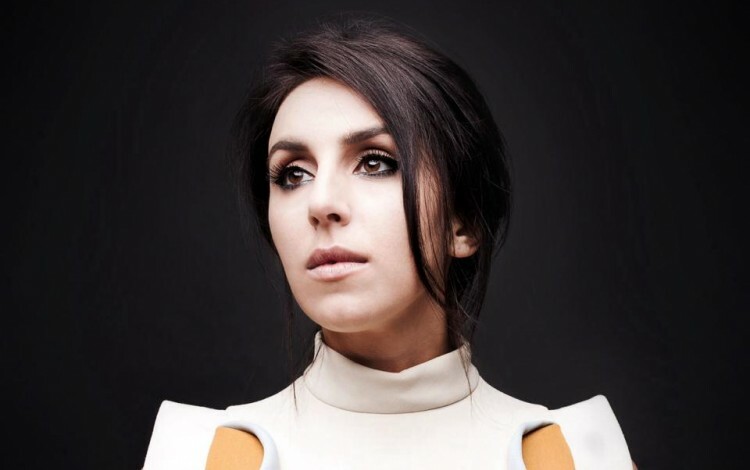 Over the past two years, Jamala has enjoyed a rising profile as the public face for the post-Soviet generation of Crimean Tatars and the biggest celebrity within the Crimean Tatar community. She has been an outspoken critic of the Russian occupation of Crimea and a vocal Ukrainian patriot whose mixed ethnic ancestry and Muslim faith make her in many ways the ideal poster girl for the emerging civic national identity that is taking shape in post-Maidan Ukraine. As an historical tribute song, ‘1944’ is unlikely to fall foul of Eurovision rules barring political entries. Nevertheless, the parallels with the current Russian occupation of Crimea are glaringly obvious. In early February 2016, the European Parliament overwhelmingly adopted a resolution condemning Russia for its treatment of the Crimean Tatars in the occupied Ukrainian peninsula. This was the latest in a long line of international expressions of outrage at the waves of repression that have targeted the Crimean Tatar community since Russia seized Crimea in early 2014. In a distressing echo of the 1944 deportation, many Crimean Tatar community leaders have been exiled from the peninsula by the Russian occupation authorities, while those who remain have been subjected to raids, arrests, abductions and the closure of community organizations. The human rights abuses directed at the Crimean Tatars are particularly damaging for the Kremlin as the Crimean Tatars are widely recognized internationally as the indigenous people of the peninsula. Their unequivocal opposition to the Russian invasion also undermines Kremlin claims of mass local support. Jamala’s song will also have awkward historical ramifications for Russia. The Kremlin has consistently maintained that Crimea was historically always Russian – a myth that many in the West have seemingly accepted at face value. In reality, Russian colonization of Crimea is a relatively new phenomenon that came after far longer periods of Byzantine, Crimean Tatar and Ottoman rule. The 1944 mass deportation of the Crimean Tatars actually played an important role in cementing ethnic Russian dominance of the Crimean peninsula – a fact that casts ‘Russian Crimea’ narratives in a distinctly unflattering light. Nor will the Kremlin welcome the attention the song draws to the Soviet Union’s crimes against humanity. Since the advent of the Putin era in 2000, there has been a concerted effort to rehabilitate the Soviet era in general and the reputation of Josef Stalin in particular. Moscow officials are famously prickly over attempts to draw parallels between Hitler and Stalin and prefer to focus on the Red Army role in the military defeat of Nazism. They will not welcome this very public reminder of a crime so staggering in scale that it defies the human imagination. Will Europe vote for the Crimean Tatars? Judging by the unscientific evidence provided by television polls and social media posts, a clear majority of Ukrainians are currently in favour of sending Jamala to Sweden to represent the country at this year’s Eurovision Song Contest. Some dissenting voices have questioned the wisdom of choosing such a distressing theme for a contest more commonly associated with glitz and kitsch, but supporters seem to see it as too good an opportunity to miss. The song is excellent, too. However, it is not clear how Jamala’s emotional performance will resonate with European audiences. Are they ready to vote for a song dedicated to something that, for many people, remains an obscure issue and a long forgotten crime?